The future of the Mac will see an influx of iOS apps. Could that lead to a change in Mac hardware design? We’ve heard it straight from Apple: macOS and iOS aren’t merging together. Instead, Apple is going to bring the iOS app platform to the Mac in 2019. The result will likely be a macOS platform that’s still the Mac, but with a much heavier influence from iOS. Last week I suggested that this makes me question the long-term viability of the Mac, but it’s also possible that Apple’s moves will lead to a world where I stop dreaming about a laptop that runs iOS because it just won’t be necessary. It all depends on how much all that iOS-originated software will change the Mac in the next few years. The real hurdle to supporting touch on iOS is ergonomics of a different sort, namely the ergonomics of building interfaces designed to be manipulated by fingers instead of cursors. Ten years ago, when the App Store was about to open its doors for the first time, developers spent a great deal of time trying to understand just how the iPhone’s touchscreen wasn’t like their Mac’s screen. At the time, Iconfactory developer Craig Hockenberry told me about how he was spending a lot of time measuring his fingertips and trying to understand just how large items needed to be on screen in order for them to be activated by our fingers. macOS and its apps just aren’t created with fingers in mind, unless those fingers are sliding over a trackpad or grasping a mouse. But beginning next year, the Mac will potentially be flooded with apps that were originally designed for touch-based devices. Yes, just as with the four new Apple apps in macOS Mojave, they’ll support cursors and the menu bar and keyboard shortcuts. But they will have been born of the touchscreen... and that could make a huge difference. Once a critical mass of Mac apps have been born of iOS, things start to get interesting. A Mac with a touchscreen today seems like a weird idea, but would it be weird to touch a screen that’s running an app that was originally designed to work with touch? Again, I’m thinking more of the addition of touch to the existing mouse-and-keyboard paradigm, not its replacement. But there is a class of laptop that Apple hasn’t made, that might be enabled by this scenario: a convertible laptop. 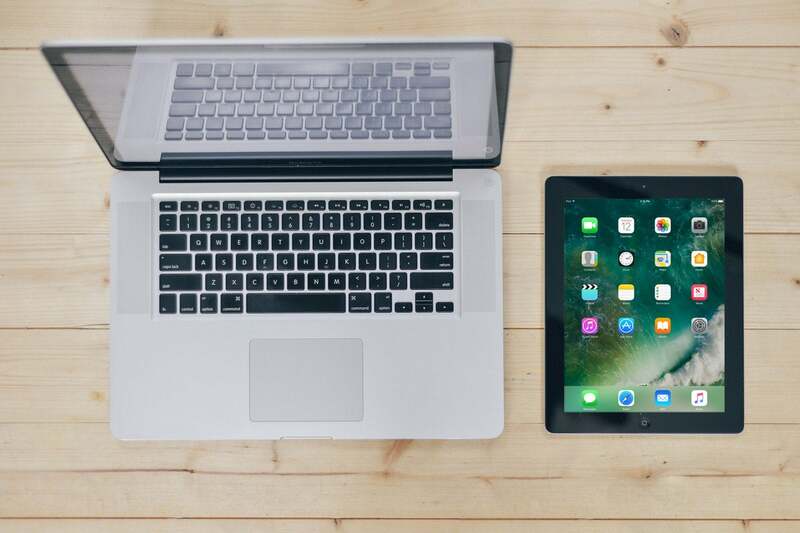 These devices are laptops first, but they’re tablets second—you either detach their keyboards or flip the keyboard behind the screen so that you can hold the device like it’s a tablet, but a bit thicker. For several years I’ve done my traveling with an iPad rather than a MacBook because there are lots of instances where I simply prefer the ergonomics and flexibility of the tablet design. I can add a keyboard to my iPad when I want—and remove it when I don’t need a keyboard. But what if I could travel with a device that would work like a tablet when I wanted it, but bring all sorts of Mac features to the table—not just a cursor and pointing device but support for the Terminal, the ability to natively read SD cards and USB drives, and of course, compatibility with all the apps I run on my iMac Pro today. What then? If Apple made a Mac that I could flip into an almost-tablet, driving iOS-sourced apps with touch, but able to be quickly flipped back into a more traditional Mac, would that be the only device I’d want to travel with? This week I’ve seen a lot of discussion of WWDC 2018 as a validation of Apple’s “buy both” strategy—that by keeping the iPad and Mac pure and separate, both devices can do what they’re best at, and if you want both sets of features, you just need to buy and carry both devices. Sounds great, except running iOS apps on the Mac eliminates the purity, and I don’t want to carry two devices if I could carry one that does both jobs. More broadly, I wonder about that strict border between Mac and iPad. What if it’s drawn in the wrong place? Wouldn’t some overlap between the two platforms serve the needs of more users? This is not easy stuff, and it’ll take Apple years to do whatever it’s planning on doing. But I see the appeal of an iPad that’s a bit more like a Mac, and a Mac that’s a bit more like an iPad. I think both platforms could benefit from becoming more like one another—and I hope Apple does, too.